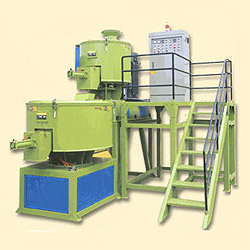 Manufacturer of Plastic Granulators, Extruders, Grinders & Blenders. Complete set of hi-speed mixer vertical cooling blender. 5. Compatible model: employed with 200L capacity cooling blender.